This month’s reading turns away from the traditional Tarot in favor of a special oracle deck based on Celtic lore. This is the Celtic Messages Oracle deck. This reading addresses a question of general guidance for the present and near future asked by this month’s Significator, who will be referred to as John. John’s inquiry is general which makes for a great Tarot reading but also lends itself well to readings conducted by an oracle deck as well. When general guidance is sought through an oracle deck it is important to keep an open mind to the messages that come forth as an oracle increases awareness of changing tides or opportunities presenting requiring certain energies in order to manifest the best possible results. 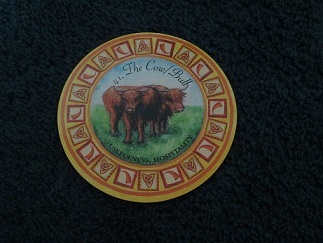 The first card drawn for this reading is the Cow/Bull which will be referred to in this column as the Cow. This is a card of resourcefulness and harnessing one’s assets and material wealth. This card suggests that John spend the next few months taking stock of resources on numerous levels. Not only the monetary value of their resources, but also the value inherent in utilizing resources to the full extent. So John, are there tools available to you that you may be overlooking? Are there areas in your life where you are wasting energy, money, time or physical possessions? The Cow suggests that this is a time to start making full use of what you already have. There seem to be several outlets or possible opportunities that need to be sculpted or crafted with a mix of creativity, imagination and frugality. The Cow reminds John that nothing is to be wasted in this endeavor. What John is seeking is not going to originate with the resources or reserves of another but will be built making use of what is already at his disposal. This is a time of abundance and growth especially if John is able to take stock of the wealth he already has at his fingertips and make use of the abundance before him. The Cow is a sacred animal as it is a singular source of both food, clothing, protection, medicine, milk, a living cornucopia able to suit all of John’s needs. In what ways, John, is abundance right at your doorstep, needing only to be recognized for the full utility available to you? John has ample opportunity at this time to experience growth and extend generosity to others and it would be in his best interest to make use of talents and resources for which he does not often credit himself. Leaving no potential link unexplored would benefit John at this time as there is abundance in his life that needs to be reinvested and cultivated to a greater extent. There will be opportunity to network and expand the social circle with benefit to John’s career as a result. This will not be a passive process however, he must make the connections and extend himself openly showing the best of his many talents and making his unique and creative abilities clear to influential people who could help advance his career. Herne is the next card pulled. This card refers to the Wild God of the forest and brings energy of chaos, virility, change and excitement. From a full assessment and utilization of strengths and assets already at John’s disposal, he will be prepared for a period soon to come in which change, action, and an element of the unexpected and chaotic will begin to surface. This will not be a threatening time, but rather one of high energy, calling John to keep pace with the momentum and summon the energy needed to charge ahead. This will be a very productive time and a very creative time as well. It may feel like John is tending to a large and fertile garden and he will need to keep up with the work before him in order to remain ahead of the game. Herne is seen as an aspect of the God of the Wild Hunt, Vegetation and wildlife. John may feel drawn back to nature or to embark on creative projects that put him in close contact with nature and the elements, especially with Oak and the Stag. Both symbols of strength and virility. Herne also brings lessons of sacrifice and guardianship. He is said to have either been injured in a great hunting expedition and healed but with some residual limitations, or in other stories hung himself from an Oak tree after being outcast from his companions as a result of false accusations of treason against the King. With this in mind, John, be aware of the potential to be scapegoated or challenged by those who may harbor jealousies or have ulterior motives. In the course of this time of increased productivity, creativity and personal questing there may come a feeling of being left out or scapegoated. John will do well to recall the potent abilities, skills, talents and resources already at hand and to make the most of the current hunt without allowing the opinions or insecurities of others to interfere. Also, he will need to contend with feeling ostracized or scapegoated and look instead for the sources of guidance and strength. Just as Herne is associated with sacrifice and the Sacred Hunt, he is also considered a great protector of wildlife and is summoned when others are in need of guardianship and protection. John will face the choice of pursuing his quest in honor of a greater goal, for the benefit of many as opposed to becoming lost in martyrdom and disconnected from his higher integrity. Major change is underway and may be unsettling for John as he may feel as if he is losing that which provided control and security. By being open to the process of change and healing John may be pleasantly surprised to realize the full potential he is now able to live up to. 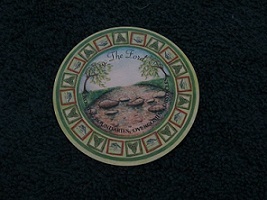 The last card drawn is the Ford. The Ford is a marker of transition. It seems that John will be approaching a phase requiring him to take action and make a firm commitment and that simply looking to greener pastures with envy will not serve him, but rather he is being called to take action and seek that which he desires. He will need to summon courage and conviction to face obstacles that appear in his path without backing down or trying to find loopholes that will divert his energy away from potential conflict or the confrontation of uncomfortable situations that force him to contend with disruption in his plans. John will need to keep emotional waters calm and adopt the view of the observer, from which angle he will then be able to cross the emotional waters, making the best of what is available at this time and turning roadblocks into advantageous learning experiences. This will require him to reach beyond his comfort zone but will prove rewarding in the end. What may seem like difficulty is in a greater sense an opportunity to rise above a challenge and respond to barriers in a different way, thereby carving out new paths, new attitudes, behaviors, and a different personal energy that will demonstrate to John that not only can he overcome the difficulties at hand, but has also evolved into a whole new playing field. From this vantage point John will be better able to handle difficulties that arise in his life in the future as well. This is a time of demonstrating through action just how reason can overrule emotional reaction and help John ultimately reach his goals. He may feel torn between two courses of action or struggle with self doubt or ambivalence. The challenge ahead will bring a convenient opportunity to back down and repeat outmoded patterns of behavior that allow for self sabotage, or will pave the way for new accomplishments and greater confidence. The choice will be up to John when the time arrives. Remember, no matter where you are reading this article, all readings are for entertainment purposes in accordance with New York State law. Best of luck to John on his future ventures as he harnesses the friction of change and finds his way through the challenges that once would have deterred him on his journey. This month’s deck is the Celtic Messages Oracle, a deviation from the traditional Tarot decks previously used. 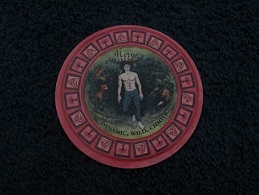 This oracle deck is published by Joules Taylor. Published by Cico Books, London/NY in 2008.